In the early morning of 5 June 2011, after a long and lingering illness, Ludo Martens, former president of the Workers’ Party of Belgium, passed away. Together with Paul Goossens and Walter De Bock, Ludo Martens was one of the better known student leaders of May 1968 in Belgium. He translated the worldwide progressive current at the universities into the foundation of the Student Trade Union Movement (SVB), developed solidarity with the equal rights movement of black people in the United States, resisted narrow nationalism and exerted efforts to enhance the movement of solidarity between students and workers. Celebrate the 130th anniversary of the birth of Comrade Stalin! This month, on December 21st, 2009, revolutionaries around the world will mark the 130th anniversary of the birth of Comrade J. V. Stalin, who along with Lenin, led the Great October Socialist Revolution to victory. 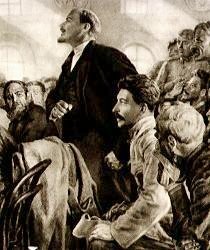 After Lenin’s death, Stalin consolidated the victory of the USSR and strengthened the Soviet Party, beat back the counter-revolutionary Trotskyites and Bukharinites, paved the way for socialist construction and agricultural collectivization, and led the heroic Red Army in defeating fascism in World War II. A brief review of the Soviet Union’s accomplishments underscores what was lost. The Soviet Union not only eliminated the exploiting classes of the old order, but ended inflation, unemployment, racial and national discrimination, grinding poverty, and glaring inequalities of wealth, income, education, and opportunity. In fifty years, the country went from an industral production that was only 12 percent of that in the United States to industrial production that was 80 percent and an agricultural output 85 percent of the U.S. Though Soviet per capita consumption remained lower than in the U.S., no society had ever increased living standards and consumption so rapidly in such a short period of time for all its people. Employment was guaranteed. 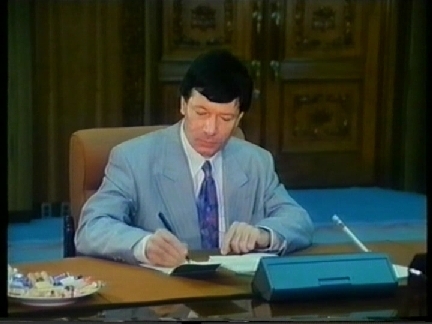 Free education was available for all, from kindergarten through secondary schools (general, technical and vocational), universities, and after-work schools. Besides free tuition, post-secondary students recieved living stipends. Free health care existed for all, with about twice as many doctors per person as in the United States. Workers who were injured or ill had job guarantees and sick pay. In the mid-1970s, workers averaged 21.2 working days of vacation (a month’s vaction), and sanitariums, resorts, and childrens camps were either free or subsidized. Trade unions had the power to veto firings and recall managers. The state regulated all prices and subsidized the cost of basic food and housing. Rents constituted only 2-3 percent of the family budget; water and utilities only 4-5 percent… State subsidies kept the price of books, periodicals and cultural events at a minimum. To look more closely at the causes of the collapse of the Soviet Union see Ludo Martens’ article, “Balance of the Collapse of the Soviet Union: On the Causes of a Betrayal and the Tasks Ahead for Communists“. This documentary clearly demonstrates what the complete restoration of capitalism has meant in a very concrete and material way. Socialism or Barbarism? Review of "Another View of Stalin"
This book by Ludo Martens of the Worker’s Party of Belgium, Another View of Stalin (EPO, Antwerp: 1994. ), is pretty incredible. For us, working in the United States where anticommunism is so institutionalized, it is an important book. It is a weapon for communists to use in the ideological front. For a long time I didn’t understand Comrade Stalin. I came from a petit-bourgeois intellectual Marxism, distanced from practice and tied in rather closely to to the humanist/individualist ideologies of the U.S. I read Adorno, Jameson, and Critical Theory. As a young man, a teenager just coming to Marxism, I remember people would say, “but Socialism didn’t work,” and I would reply, with a fine mixture of youthful optimism and naivete, “but it was never really tried!” Any scientific socialist should be able to see such a statement for the utopianism that it is. Later my utopianism became more nuanced and sophisticated as I studied philosophy formally. It was only when I came to Mao Zedong’s writings and the experience of the Chinese Revolution that I could begin to reappraise Stalin, the USSR, and the world communist movement as a whole. Whatever his errors may have been, Mao was a breath of fresh air, so clear and simple, yet sharp as a razor – so practical and useful! And yet Mao was a “Stalinist.” So I had to ask, was Stalin a deviation from “true” Marxism and even from Leninism (and where did that leave Mao? 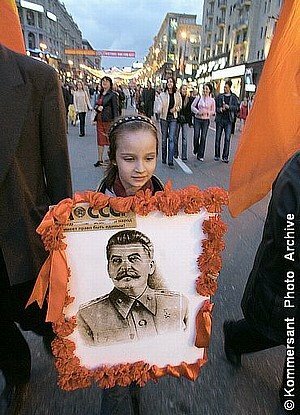 ), or was Stalin a genuine Marxist-Leninist? What did this say about socialism, what it is and what it isn’t? What did this say about what socialism could be? Through a more thorough study of Marxism and of history, I came to see that Stalin was a great Marxist-Leninist and that the USSR, at least until the Krushchev years, provided a shining example of what Marxism was when applied. But why did it “fail” and where did that leave us? 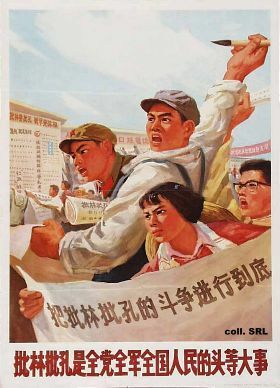 It was only much later that I came to understand the particulars of the sequence of events and what Mao Zedong calls the “two line struggle,” whereby in the transitional society that socialism is (not what Marx calls a “mode of production” but something between the capitalist and communist modes) contradictions are intensified and class struggle along with it. Nothing is assured just because the proletariat has seized state power. Fast forward a bit. I attended a recent conference where a lot of Trotskyite groups tabled. On the way to conference, in the van that we had rented for our mobilization, I was talking about Soviet history, about Stalin and his contributions to building socialism, and about the slow death of the Soviet system as the sickness of revisionism tore the USSR apart from Krushchov to through Gorbachav, to Yeltsin and the liquidation of the CPSU and the rise of the oligarchs. 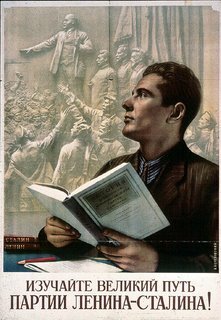 Having read Another View of Stalin, it was an easy thing to address such questions as, “What about Lenin’s Will?”, “What about the Purges and Show Trials?”, “What about the Gulag? And the millions killed?” “The lack of democracy?” “The forced collectivization?” “What about Trotsky?” Martens goes into all of this. He addresses the usual criticisms of Stalin, going after their sources, showing how they don’t hold up to any scientific analysis of history, situating them in their actual historical conditions, from which they are so easily and with such cleaverness removed. He exposes the agendas of Stalin’s critics in the most thorough way. But people didn’t understand why all these Trots were around. They were very confusing, and after all, they said all the same things about Stalin that their highschool teachers had been saying all along! And this brings us to the question of revisionism. Some don’t see why this question of Stalin is so important for Marxist-Leninists today. Stalin is dead, after all, and this isn’t Russia. In the last instance, it comes down to the very essense of Marxism, to historical materialism, to the scientific analysis of social, political and economic change. Had socialism “ever been tried” and did it work? If our answer is yes, then we must come up with a balance sheet of its successes and failures, we must go into the particulars, the local and geopolitical contradictions, the historical milieu. If no, we must discern how socialism in the USSR, Eastern Europe, Southeast Asia or China differed from “true” socialism, and how is this “true” socialism to ever be achived given where are and what we know about class society, imperialism, uneven development and so on? The question of Stalin is central to this – the question of the architect of the first Socialist society and leader of the international communist movement for so many crucial decades. 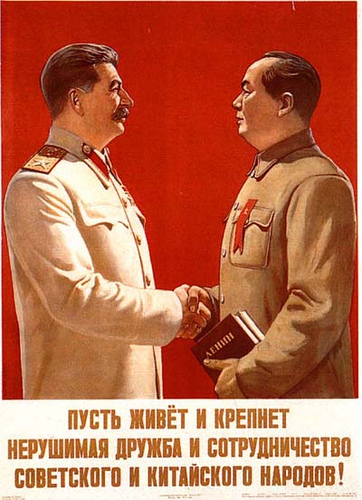 To defend Stalin one must have a firm grasp of history. To be a Trotskyite one must only say, “but think of what it would have been like if…” The concern is not with what happened. Trotskyite “theory” doesn’t hold water. And we know, as Mao Zedong has said, the basis of Marxist epistemology, that is the basis of all scientific knowledge, is practice. A lot of people I know who have read this book on Stalin by Comrade Martens have been stunned by the degree of the lies perpetuated to attack the architect of socialism. It is a common thread that links all of communisms enemies: Imperialists, Fascists, Trotskyites, Revisionists, etc. Comrades like it because it is a weapon. Anti-capitalist fellow-travellers like it because it reaffirms what they have always suspected – that the greatest enemies of capitalism and imperialism are the ones who are most villified by the petit-bourgeois lackeys of international monopoly capital. 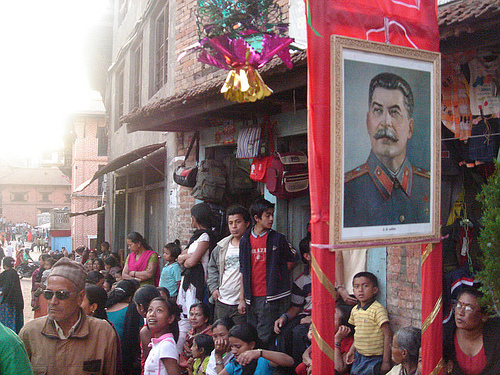 Today as the Communist Party of Nepal (Maoist) stands on the verge of founding the world’s next socialist state, we see it happening again with the new “biography” of Mao Zedong, which is nothing but propaganda dressed in the trappings of history. One need not limit oneself to Krushchov’s secret speech to the XXth Congress to find this problem. One can look in philosophy as well. The “Marxist” Humanists, celebrants of the velvet (counter-)revolution like Dunayevskaya (secretary of Trotsky and founder of News & Letters), Kolakowski (“Marxist” revisionist author of the most anti-Marxist philosophical text yet written, the three volume Main Currents of Marxism), and even Alain Badiou (“post-Maoist” methematician and philosopher who calls both the Chinese Cultural Revolution and the Solidarity movement in Poland “obscure events” to study and upon which to refound the leftist project). And we can see where that leads. The humanists are liberals, as Louis Althusser has pointed out in his cleaver syllogism: “All humanists are liberals; Eric Fromm [famed “Marxist Humanist”] is a humanist; Fromm is a liberal.” Kolakowski sings the praises of revisionism to no end, and Badiou’s OP is at best infantile leftist and worst completely reformist. Where does this revisionism lead? In the Soviet Union and the Warsaw States it led to capitalist restoration in its most barbaric form. Humanism restored gangster-liberalism in the Soviet Bloc. It is easy when you start talking about “universal human rights” to forget that this means bourgeois right, and that in the end, “universal human rights”, “Socialism with a human face” and what have you, is a defeat for the working class. It is odd that when anyone wants to talk about the “true essense” of Marxism, or a “return to Lenin” it is that old renegade Kautsky, the social-democrat who wanted a reformed capitalism, that they dredge up in order to liquidate the CP and liberalize the state and economy. And nobody embodies Kautskyism like Tony Blaire’s Labour Party as they unite with U.S. imperialism to rob the Middle East of all of its resources. Mao Zedong puts it very simply: never forget class struggle. I am an activist, a militant involved in the daily struggles of the working and oppressed people. I argue for socialism, for Marxism-Leninism. 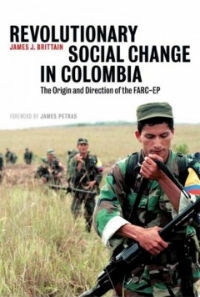 To do this, this book by Comrade Martens is useful, especially with students and young people. So many people see these problems of exploitation, poverty, national oppression, sexism, and so on. They see that they are systemic, but so often it stops there. Because the radical alternative is “Stalinism” so many people settle for an ineffective social-democracy, a vain attempt to reform capitalism, or a cynical pessimism. But this book does well to demonstrate that, situated within its historical context, Communism is a good thing. And, as Lenin would have it, the dictatorship of the proletariat is “a million times more democratic” than anything else we have ever seen. 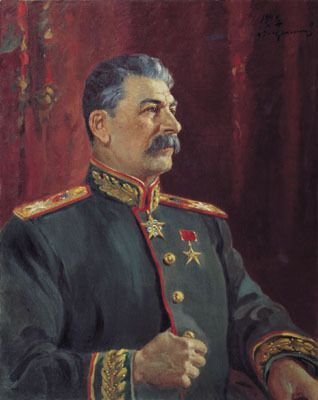 Stalin, architect of socialism, is a shining example to genuine Marxist-Leninists everywhere.